This week we received a few sweet things in our email and mailbox. One was a gallery full of breathtaking images, the other was a sweet handwritten card from our couple which includes the magical line: "When I opened your gift, I actually said you were my spirit sister- cocktails and candy? LOVED IT!" We absolutely adored working with Jennifer and Beau. 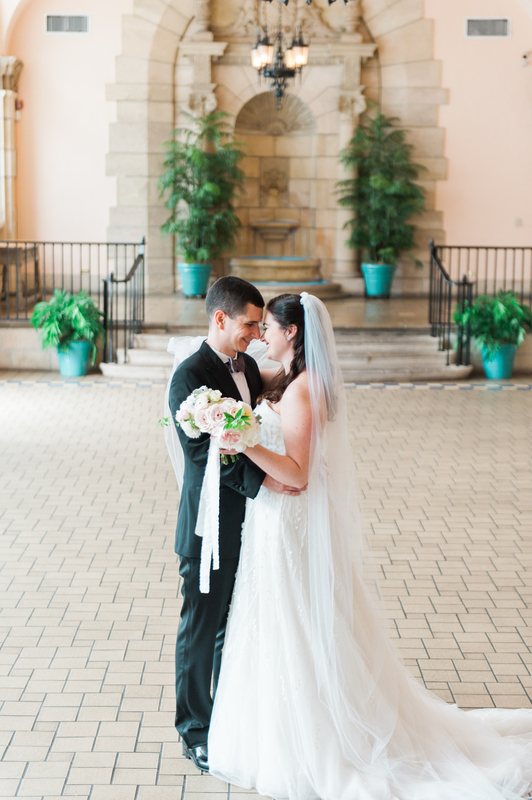 They were a couple with incredible taste - I mean hello, they selected The Flagler Museum as their wedding venue - and they were both filled with so much love for each other as well as their family and friends. 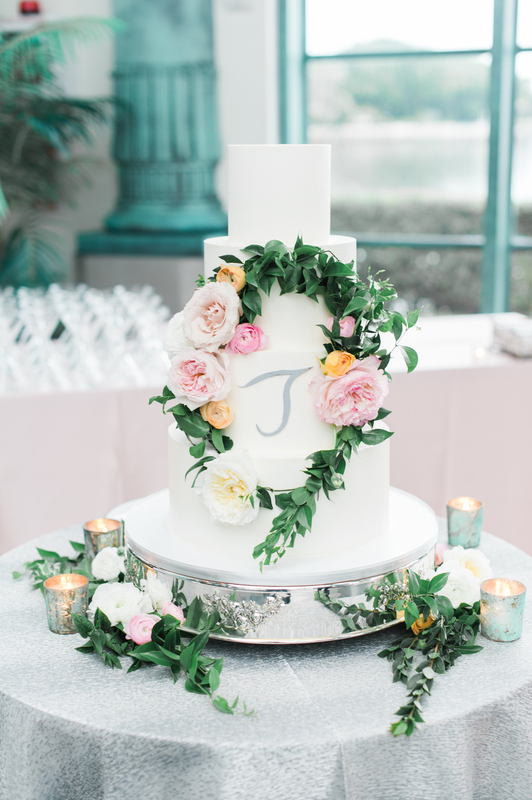 Jennifer and Beau wanted to create an evening that left their guests feeling cared for and free to move about the night, all while enjoying a delicious spread of food, bumpin' live music, and the gorgeous Palm Beach waterside views that surround The Flagler Museum. I will remember these two for years to come and will always look back fondly on our time together. They challenged me, they welcomed me into their planning process and their love story, and left Glen and I feeling like such an integral part of their journey and wedding day. I even got to drive Jennifer to her first look! 100 layers of tulle and all in my front seat. 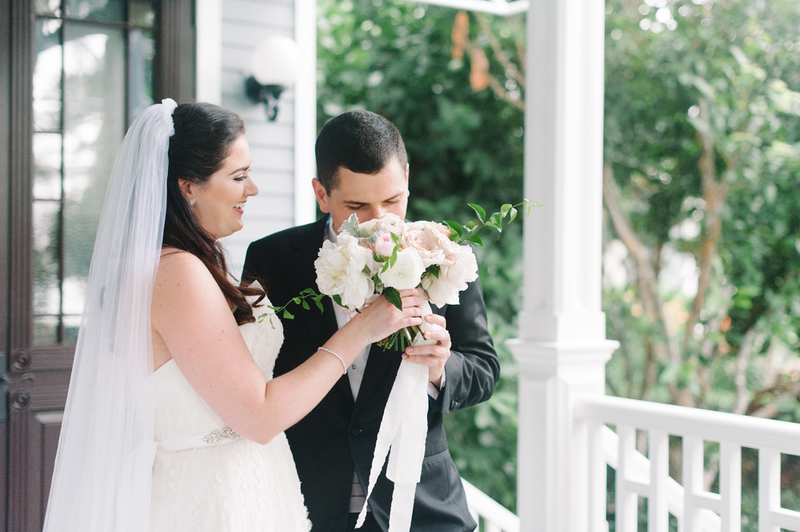 No amount of June Florida rain and humidity could damper that moment. 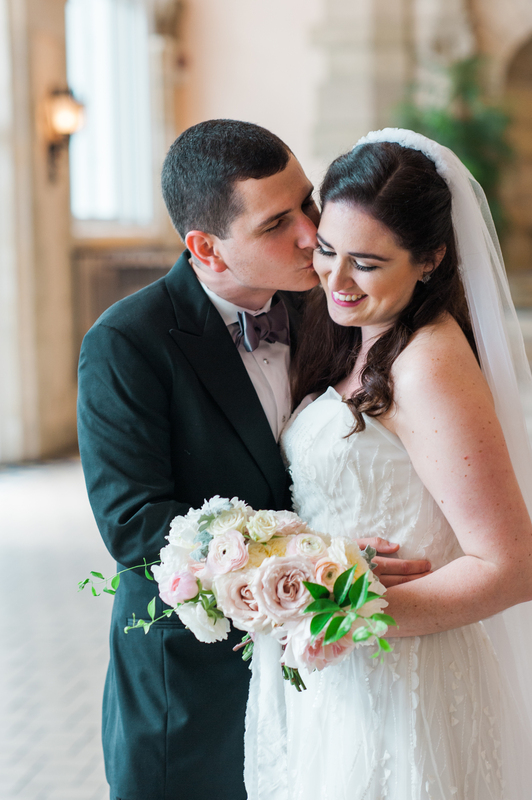 From the couple: "Thank you sweet Jenny for all your help in planning and the beautiful florals. If anything went wrong on Saturday, we had no clue. You were always there when we needed something and I'm going to miss our emails! The flowers and garlands looked and smelled amazing. So again, thank you for everything before and on our wedding day. Finding you and Port + Palm Co. was pure luck but we were the lucky ones. We hope you remember us and our wedding as fondly as we'll remember you!" Thank you for trusting us and being such a gracious duo. I can't wait to visit Boston someday soon, share a cocktail and stories of marriage. Cheers you two! Floral Design + Coordination | Port + Palm Co.